Anton Ferdinand is a defender who signed for Sunderland in the 2008 close season. Anton is a stylish, composed defender who is comfortable bringing the ball out of defence to set up attacking plays. He learnt his footballing trade at West Ham, where he made more than 150 first-team appearances and gained representative honours for England U21s. Anton is a versatile defender and can play across the back four, having started out as a centre back. He made a successful transition to full back during the 2009-10 campaign, despite spending several months on the sidelines with a serious ankle injury, and after a slow start in 2010-11 he went on to produce some useful performances in the team. 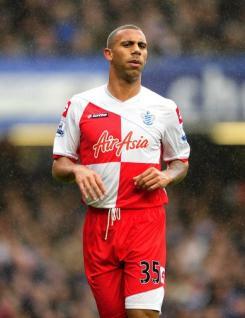 Anton moved on in the summer of 2011, signing for Premier League newcomers Queen?s Park Rangers.